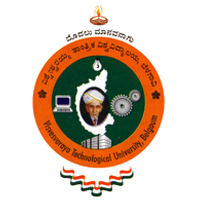 Download Visvesvaraya Technological University BE First/Second Semester Environmental Studies Question Paper of July, 2014 (2010 Scheme) Version - C in PDF Format | VTU 1st/2nd Semester BE Examination Question Papers | Visvesvaraya Technological University Previous Year or Old Question Papers | VTU Model Question Papers | Download VTU Question Papers in PDF Format | VTU Common Subject Question Papers for All Braches. Students who are Searching for VTU Question Papers can download Visvesvaraya Technological University (VTU) B.E First or Second Semester Environmental Studies Subject Question Paper of July, 2014 (2010 Scheme) Version - C. This Subject is common for All Branches of Engineering & Download This Question Paper in PDF Format. Click Here, To Download VTU B.E 1st/2nd Semester Environmental Studies Question Paper of July, 2014 (2010 Scheme) Version - C.